Smithers Rapra announced that Bruce Lambillotte, the company’s vice president of technical consulting, and Dr. Dustin Jenkins, senior analytical chemist, will deliver presentations at the Tire Technology Expo 2019 in Hannover, Germany from March 5-7. Lambillotte will present “The Impact of Electric Vehicles on Tires to YR2028” at 11:10 a.m. on March 5. This session on the first day of the expo will cover a recent Smithers market report that addresses how the growing electric vehicle market and changing mobility trends will impact many aspects of tire performance. Dr. Jenkins is scheduled to give his presentation, “Silica Dispersion Analysis by Way of SEM/ImageJ Analysis in Laboratory Mixed PCR Tread Compounds,” at 3:30 p.m. on March 6. He will discuss data from Smithers’ mixing studies related to silica dispersion in tread compounds and the benefits of intermesh mixing in improving dispersion and assessing different silicas. Tire Technology Expo brings together a wide range of global industry professionals in various disciplines to share new technologies, scientific findings and thoughts on the industry as a whole. 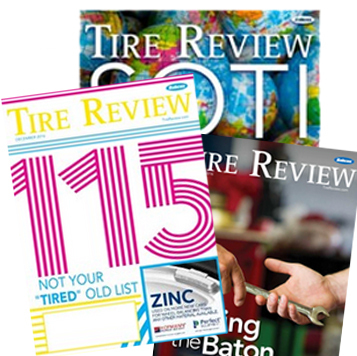 This year’s expo will feature a conference program that spans three days, including more than 160 speakers, seven educational courses and exhibits from over 300 of the top names in tire manufacturing and testing. In addition to its expert presentations, Smithers will exhibit at Booth 5013 in the expo hall. Smithers Rapra operates laboratories in North America, Europe, and Asia, covering a wide variety of materials science and engineering services from material chemistry and product durability testing, to tire, wheel, and winter testing. Smithers’ global network of ISO 17025 accredited tire test laboratories perform a wide variety of SAE, ASTM, ISO, UNECE and EC tests supporting raw material suppliers, tire manufacturers, and automotive OEMs. For more information about Smithers Rapra, visit www.smithersrapra.com.